There can be some very serious and life threatening consequences to being food allergy. Consider the potentially fatal results of fish and nut anaphylactic shock. At the Allergy Clinic 80% of our referrals are for suspected food allergies. Patients are very aware of the symptoms of food allergy, which can be quite alarming. The prospect of a life-threatening anaphylactic reaction is always a major public concern. Patients may present with urticaria or hives that they attribute to a food allergy. Common food allergic manifestations include oral symptoms such as itching and swelling of the mouth, tongue and throat and even throat or laryngeal obstruction with breathing difficulties. Successful testing for allergies can be very difficult without a clear precise history implicating one or other particular food. To complicate issues, the tests we have available are often not 100% specific. We see both false negative and false positive skin and blood allergy tests and challenge testing with the fresh food may be necessary. What happens as we get older? Firstly, classical True Food allergy, as in Peanut anaphylaxis – where we have an immediate catastrophic IgE immune system mediated reaction. This will require emergency adrenaline injections and medical resuscitation. Some food allergies may be delayed reactions (non-IgE). Next is the group of Food Intolerance which are not immune system mediated but may be due to enzyme deficiencies, and other mechanisms that mimic true allergic reactions. Biological contaminants or poison present in the food causes Food Toxicity, which then cause recognisable toxic reactions. Finally, there is Food Aversion where the patient is psychologically convinced that they are allergic to a food, but when challenged with the food, fail to have any reaction. True Food Allergy, is an Immediate IgE Mediated Allergic Hypersensitivity reaction, which involves antibodies that cause membrane Mast Cells to release the powerful pro-allergy chemical histamine, results in tissue inflammation and swelling. A small protein particle called an allergen is responsible for triggering the antibody response. The antibody called Immunoglobulin E (IgE) accounts for 90% of True Food Allergic reactions. A reaction can occur within minutes to minute traces of the offending allergen and in exquisitely sensitive individuals, even airborne food allergen can trigger anaphylaxis – such as in fish and peanut allergy. Increasingly we see Delayed T-cell mediated food allergic reactions – these take about 24 hours to evolve and are typically seen with Contact Dermatitis in adults and Coeliac Disease or Reflux Oesophagitis in children. There is a more severe form of delayed allergic oesophagitis which is becoming more apparent called Eosinophilic Oesophagitis (EO) causing choking, regurgitation of food, severe reflux and feeding difficulties in infants. A more severe form of EO may be found in infants where Cow’s Milk Protein Intolerance may present with a severe reaction and shock. We refer to these as delayed Non-IgE Allergic Hypersensitivity reactions. Classical IgE mediated food allergy presents with immediate weals or urticarial rashes, tissue angioedema of the face and neck and even anaphylaxis with shock and circulatory collapse. 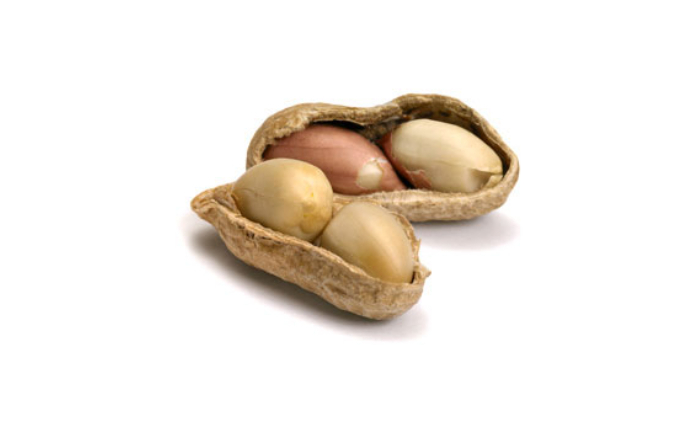 In adults, the foods commonly implicated in anaphylaxis are Peanuts, Tree nuts, Shellfish, Bony Fish and Hen’s Egg. Another interesting immediate food allergic phenomenon is that of the Oral Allergy Syndrome (OAS). Here the allergic reaction is localised to the mouth and throat and is triggered by allergy stone-fruit and vegetables such as Apple, Peach, Carrot, Celery, Tomato and Cherry. In adults we also see exacerbations of eczema and rhinitis from food allergy but rarely isolated asthma due to a food allergy. Other manifestations involving the lower intestinal tract are vomiting and diarrhoea. Food-induced Enteropathy with bloody diarrhoea is becoming more common in children. Frequently patients think they are allergic to one food but may end being allergic to 3 or more foods after evaluation. Food Intolerance (or Non-Allergic Hypersensitivity) is an adverse reaction that is not immune mediated and generally doesn’t lead to anaphylaxis as no specific IgE response is generated. Reactions are dose-dependant – smaller amounts of the offending food are tolerated, but at a certain dietary threshold a clinical response will occur. Although promoted in the media by commercial companies, IgG antibody testing has no useful role in Food Intolerance testing. There may be a digestive enzyme deficiency as in Lactose Intolerance. Here the enzyme Lactase is depleted resulting in cramps, flatulence and frothy diarrhoea shortly after drinking cow’s milk. It is an inherited trait and affects up to 10% of the population, beginning in teenage years and gets worse with advancing age. Lactose Intolerance is commoner in Afro-Americans, Hispanics, Asians and Mediterranean populations. Lactose intolerance is reliably diagnosed with a “hydrogen breath” test or measuring reducing sugars in a watery diarrhoeal stool. Intolerance to Sucrose in table sugar and fruit can lead to similar symptoms if there is a deficiency of the intestinal enzyme which breaks sucrose down to absorbable fructose and glucose. Gluten Intolerance and Wheat Aversion is very topical and in “the media” at present. Gluten Intolerance can vary from mild symptoms of Non-coeliac Gluten Intolerance (NCGI) to full-blown Coeliac Disease (CD) with abdominal pain, malabsorption, anaemia, fatigue and bowel problems. The Tissue Transglutaminase (TT) IgA and IgG screening testing will only pick up the more severe spectrum disease and the person needs to be on a Gluten containing diet for at least 4 weeks prior for the test to be accurate. A positive test also needs to be followed up with an intestinal biopsy, as the diagnosis of CD warrants lifelong Gluten avoidance. There is an HLA genetic blood test HLA DQ2/DQ8, but about 30% of the general population carry this gene, so it is not specific to CD. Some people with milder Gluten Intolerance will usually test negative but benefit from a low Gluten diet. Dermatitis Herpetiformis is a rare skin manifestation of Coeliac disease and TT IgA will test positive. Food additives such as colourings and preservatives may trigger pseudo-allergic reactions. These are not IgE mediated, but possibly involve direct Mast Cell and Basophil histamine release into the tissues. Histamine may even occur naturally in foods and when absorbed in the intestine, the histamine content triggers an allergic-like reaction. A similar reaction can also be seen with naturally occurring dietary salicylate in aspirin sensitive people. Other chemicals found in food can cause ill effects such as caffeine induced palpitations. Capsaicin in chilli’s induces a typical “hot curry” burning oral sensation. Oils in Angel Fish can induce bright yellow coloured diarrhoea. While alcohol induced flushing and nasal congestion especially with red wine is due to local vasodilatation. Food Toxic reactions have no immune basis, but are due to bacterial endotoxins and contaminants in poorly stored food. This results in vomiting, diarrhoea, flushing and certain nervous system symptoms in all individuals who consume the contaminated food. Other biologically active toxins include algae (Red Tide) that infest shellfish with paralytic neurotoxins, glycoalkaloids in potatoes and amatoxin in mushrooms. Mycotoxins in grain produce such as wheat, rye, barley and oats can cause Ergotism with gangrene and convulsions. Scromboid toxicity occurs when fish putrefies and releases histamine causing allergy-like flushing reactions with headache, palpitations and vomiting. Food aversion is diagnosed when the patient is psychologically convinced that they are food allergic but have negative allergy tests. They might have had a viral illness with vomiting, thought it was an allergy and then blame the last food they ate. But if one disguises the food and then give it to them, they fail to react adversely. Their symptoms are often quite bizarre and do not match any particular allergy clinical picture. It can be very difficult to convince these people that they are not food allergic or intolerant, and often “Alternative” practitioners will have further reinforced their food aversions. The convincing journalists may encourage people to believe common non specific symptoms are due to food allergies and intolerances. Conditions that have no scientific basis become common place and are slowly accepted as actual disease entities. People are often diagnosed with Chronic Candida, Yeast Intolerance or Sugar Allergy. Sugar is not a recognised allergen. An allergen should be a protein or a protein-binding chemical. Reactive hypoglycaemia is often promoted, but random blood sugar levels are inevitably normal. Leaky Gut Syndrome is also a popular but as yet unproven diagnosis with Alternative Practitioners. Clinical Ecologists talk about Multiple Chemical Sensitivities which have no scientific basis and are diagnosed when bizarre and vague symptoms are present. Chronic conditions such as Hyperactivity, Chronic post viral fatigue and Autism are blamed on food intolerance however there are no convincing research or evidence based studies. Beware when allergies are diagnosed using Vega electro-magnetic fields, Kinesiology or muscle strength testing or even worse – with Hair Analysis. There are other pseudo-scientific tests such as the Nutron and ALCAT test or leucocytotoxic test that has never been proven to be accurate in diagnosing food allergies or intolerances. This usually presents with an acute hives or urticaria rash that starts on the face and neck then spreads to the rest of the body. Angioedema with or without the rash may be a striking feature. True IgE mediated food allergy occurs within minutes and most reactions will have evolved within one hour of contact with the triggering food. Minute traces of the food ingested may trigger a reaction, even inhalation of food essence or skin contact with the food can trigger life-threatening anaphylaxis in some susceptible people. This may occur in aircraft when peanuts are handed out to other passengers as snacks, being kissed by someone who has eaten an allergenic food or in a restaurant if the person at the next table is eating an allergenic food. The common offending foods in children that account for 90% of childhood food allergies are Cows milk protein, Hen’s egg white, Wheat, Peanuts, Cod fish and Soya bean. A person will react to specific allergens in the offending food. For instance in fresh Cow’s milk, children may react to the Whey constituents (either a-lactalbumen or b-lactoglobulin) or less commonly to the Curd (Casein) which is the part used to make cheese. Being allergic to the Casein component is related to more persistent and more severe cow’s milk allergy. In low allergen milk formulas such as Nutramigen and Neocate, these constituents will be extensively modified so as not to cause an allergic reaction. There is some evidence that hypo-allergenic formulas such as Nan HA that contain traces of milk protein eventually lead to cows milk protein tolerance, whilst 100% milk protein avoidance (Neocate and Pepticate) may not lead to cows milk protein desensitisation and eventual milk tolerance. In adults, the common food allergens causing severe allergic reactions tend to be Peanuts, Tree-nuts such as Brazilnut, hazelnut, walnut and almond, Bony fish and Shellfish, followed by Kiwi. What happens to food allergies as we get older? The natural progression of food allergy in adults is slightly different from that in children, who tend to rapidly outgrown their allergies. Food allergies are more common in children but most will outgrow them by age 10 years. Up to 7% of children suffer with true food allergy, while only about 2% of adults have true IgE mediated food allergy. If foods are avoided, about one third of adults will develop tolerance to an offending food over a 2-year elimination period. They will however remain potentially allergic – that is keep a positive allergy test or retain allergy IgE antibodies to the food, but may not react if they eat the food. Certain foods are highly allergy provoking and allergy to them is unlikely to be outgrown – these are foods with heat stable allergens. Peanuts, Nuts, Shellfish and Fish are in this category. Food allergy also varies from country to country depending on local eating habits – the more a food is eaten in a country – the higher the risk of allergy to it. In the USA we see plenty of Peanut allergy, In Scandinavia we see predominantly fish allergy, Birds Nest soup allergy in Thailand, Poppy seeds in Eastern Europe, while in Japan, Rice allergy is a significant allergy problem.